The Bucks scored a season-high 148 points (first time scoring 148+ since scoring 154 on 11/9/1989 vs SEA) as they defeated the Wizards tonight in Milwaukee by a final score of 148-129. 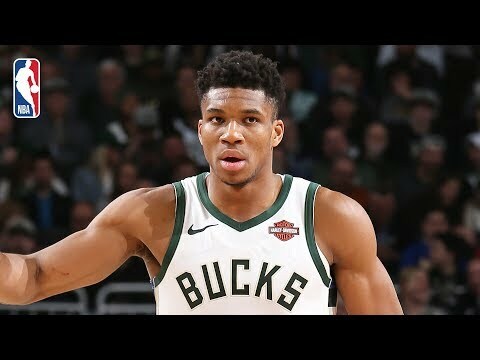 Giannis Antetokounmpo led all scorers with 43 points (17-21 FG), to go with 6 rebounds, 4 assists and 3 steals for the Bucks, while Eric Bledsoe contributed 22 points (8-16 FG), 6 rebounds and 11 assists in the victory. Bradley Beal recorded 30 points (12-22 FG, 2-8 3pt FG) and 8 rebounds to lead the Wizards, while Thomas Bryant added 26 points (12-19 FG) and 14 rebounds in the losing effort. With the win, the Bucks became the first team in the NBA to reach 40 wins this season as they improve to 40-13, while the Wizards fall to 22-32.